Welcome to the BHS Band website! The winter drumline season wraps up with a community night performance on Friday, April 5, at 7:00 pm in the BHS gym. All are welcome! The state finals competition is Saturday, April 6 in St. Cloud. More details can be found on the link to the MPA website on the Winter Drumline page. The next Burger Jones Dine to Donate night will be Monday, April 8. Dine in or carry out anytime after 4:00 pm, mention BHS Band, and Burger Jones will donate 20% of your order back to the band. Support a great cause and get a delicious meal as well. THANK YOU for your support! The next Band Boosters meeting will be held on Thursday, April 18, at 6:30 pm in the jazz band room. All parents are welcome and strongly encouraged to attend! 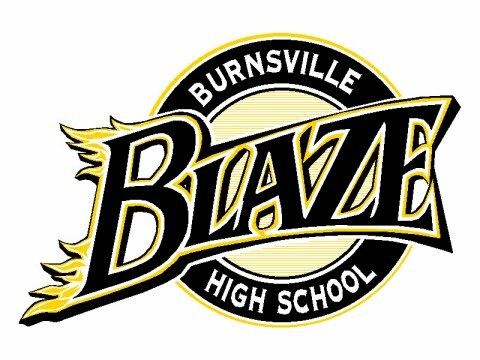 The Burnsville Band Boosters Association will hold a silent auction fundraiser during the May band concerts. Donations are being sought for gift cards, gift baskets, merchandise, money, and/or services. Your donation is tax deductible (to the full extent of the law)! Donations for the auction will be taken until May 1. To make a donation, volunteer to help with the auction, or for more information, please contact Michele Lange at mcs222@yahoo.com. If you missed the informational meeting about next year's trip to Greece, stay tuned... a trip page will be added soon with all the details! Have a fundraising idea? Please contact Chris Widness at pcwidness@gmail.com! Looking for an easy way to make a tax deductible donation to a worthy organization? Consider making a donation to the Band Boosters! A link to our donation site can be found on the Band Boosters page! The BHS Music Department was featured on KARE 11's What's Cool in Our School! Check out the video!